What is it about Italy that makes it so irresistible? I think it's the way you feel once you're there. Its beauty. And beauty is merciless. It doesn't ask, it just strikes. It leaves you powerless and you just give in to it. For me Italy is pure love. Beauty, culture, art, architecture, food. And saying this I couldn't agree more with Verdi's famous quote, "You can have the Universe, if I can have Italy". 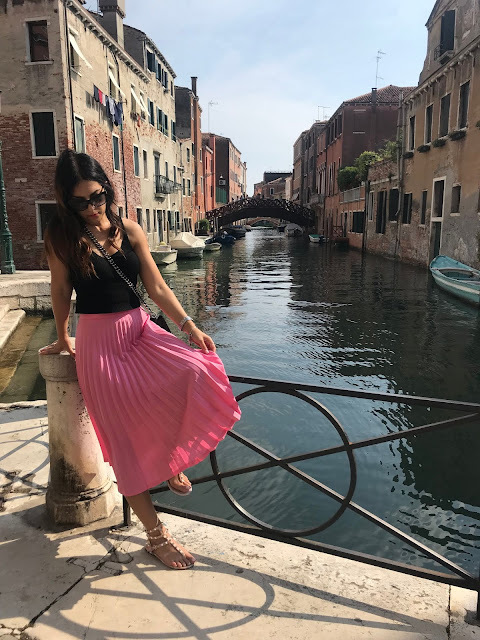 Even though I have been to Italy a lot of times, Venice seemed to be constantly escaping my plans. From Bologna I arrived there by train. For me the magic started as soon as I got out of Santa Lucia train station. It was like a dream or like entering a movie scene. Like being in a live painting. And I love paintings. When in Venice you don't really need a map although it's really easy to loose the way. 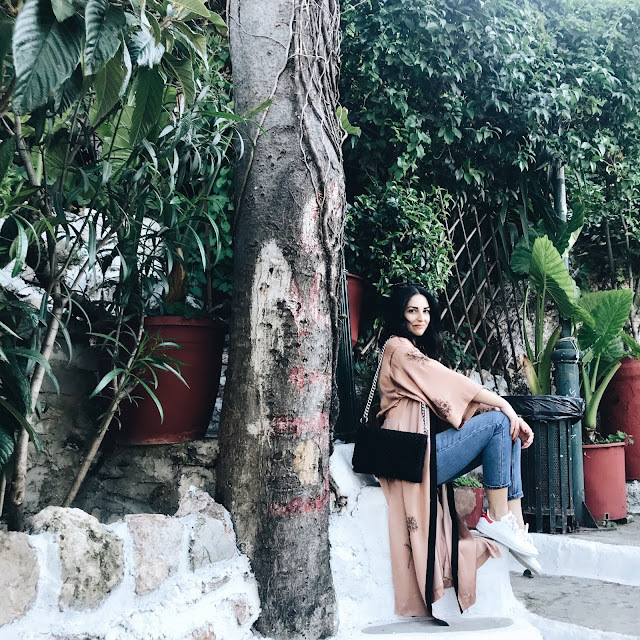 Search for the yellow signs that guide you through the city or even better loose the way and stroll around the little alleys, discover hidden beauties away from the crowds. Make sure to wear comfortable clothes and shoes. 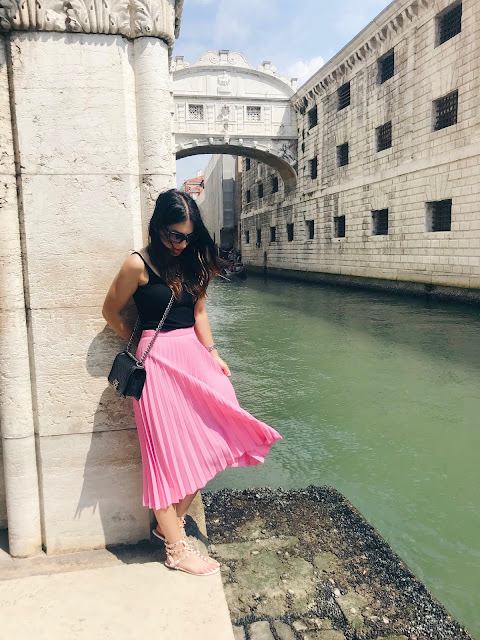 I really loved this pleated pink skirt from a vintage private collection, a comfy black Stradivarius top and these Valentino Rockstuds sandals. Heading towards Rialto Bridge grab a healthy snack or a fresh glass of juice especially if you visit Venice in summer. Hot days in Venice are like Dante's Inferno. Well, I don't know, sort of. 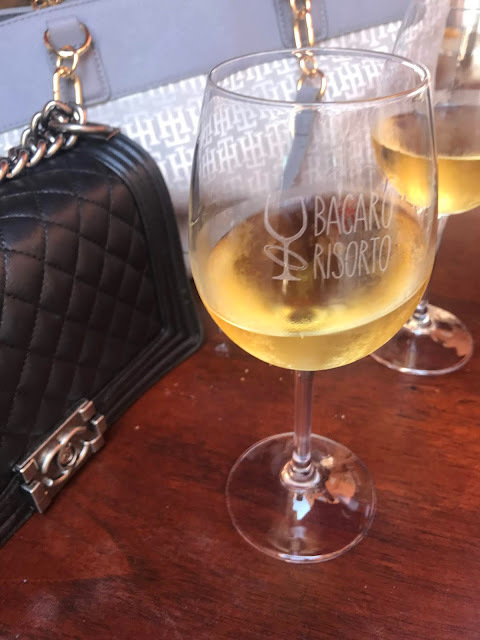 Wine is always a good idea, and after visiting the sights at Piazza San Marco you can have a break at Bacaro Risorto. Choose from local- and not only- vine varieties and enjoy a moment of calmness in the middle of a roaring city. Apart from the classical sights I enjoyed a visit to Fondaco dei Tedeschi, an old palazzo turned into a luxurious fashion centre. A fine dining and shopping experience along with a great view of Venice from the roof makes it a must especially during the golden hour. Uno spettacolo unico!!! 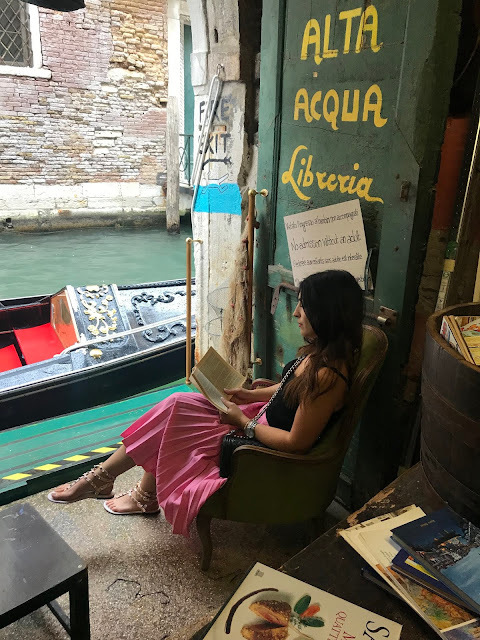 As a genuine booklover I enjoyed a visit to Libreria Acqua Alta. An amazing bookstore with hidden treasures and a lot of attitude. Every place you visit stays in you forever. Venice will always stay in my heart and a piece of my heart will always stay in Venice.